India has a rich antiquity for its archaeological and natural heritage. This knowledge is essential to understand how social systems and technologies evolved in response to past environments. Heritage sites are however disappearing rapidly, primarily owing to human impacts and lack of popular awareness. There is however, a lack of awareness of the many dimensions of India’s archaeological past in the wider community, that leads to extensive destruction of sites/antiquities through human impact. We seek to develop methodsto bridge this gap through communication and advocacy amongst corporates and local stakeholders, maximizing benefits for both the community and corporate partner in the cause of Indian heritage conservation. 4. To develop online courses for laymen, including children conveying expert knowledge in creative ways. 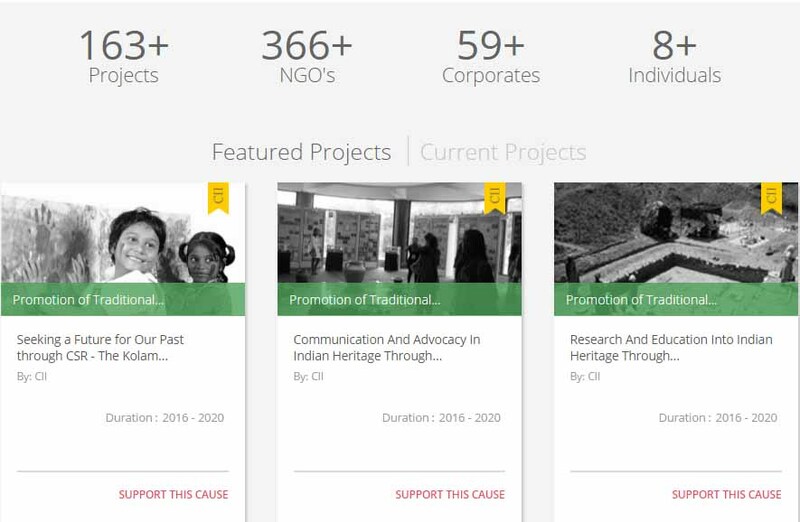 Check out our project on this theme on the CII CSR Gateway !